If you are thinking about renovating your space or looking for a way to make it look fresh and new again without spending a fortune, the best way to do this is by changing up your flooring! You might not realize how much difference it can make in your home. And no, it is not an expensive makeover. You have so many flooring options, but if money is an issue, the best way you can do this that doesn’t take much time is with vinyl flooring. It’s cheap, quick, and looks just as good as timber or tile. Below we’ll go over different trends that you can easily recreate with different vinyl flooring types. Gray is a great neutral colour that is elegant and looks great at any time of the year. It’s certainly a fashionable statement and it’s also extremely versatile. It looks modern and works well in a casual or coastal setting. You can find all sorts of gray vinyl flooring types that look like weathered oak, deep charcoal, or silvered browns. The choice is endless. Bold colours and patterns are the way to really make a statement with your flooring. These colours may include anything from red, ebony, browns, anything with a great pattern and work really well if you have light walls and furniture. The contrast becomes quite pleasing to the eye; your pieces will really stand out leaving your guests with a great memory. Colours are not the only thing you should look at when looking for flooring. The texture is a key element that can also make a great impact. One way to do this is with distressed flooring which come in a lot of colours and styles. Styles such as handscraped, wirebrushed, and French bleed will give your home a homely, old timer charm. It’s casual yet sophisticated. This is a mixture of design and new styles that have become a really popular choice over the last few years. These have been inspired by older buildings that have stopped being created so it’s basically merging something new with something old and creating something show stopping. This is eclectic but beautiful and is a great choice for any home. This European-inspired design will give your home and décor a depth it didn’t have before. There is also the bonus of this vinyl flooring type being easy to care for; a once over with an oil finish will hide scratches and dirt. Vinyl flooring, be it planks, sheets or tiles, is continuing to be a popular choice among Australians. It’s durability is unmatched; it is a great choice for any home and you can get it in almost any finish, style, colour and texture you can imagine and it’s incredibly easy to install. If you don’t want to waste money on hiring someone to do it for you, there are plenty of do it yourself guides on the Internet. 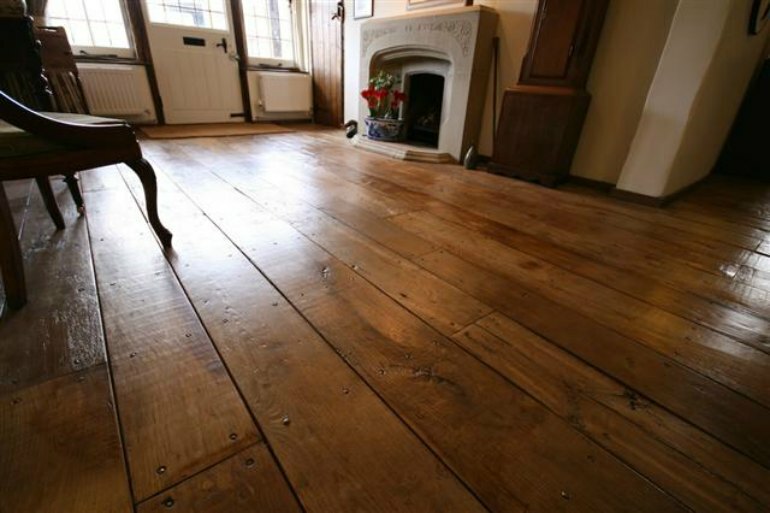 Your floor can make a great impact on what your home looks like, so why not try something new?